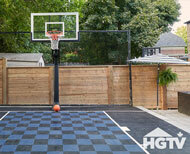 Total Sport Solutions Creates Unique Basketball Backyard on HGTV Canada’s Backyard Builds! Backyard Builds and Total Sport Solutions are a perfect fit. We both create a space the whole family can enjoy. We both create a new living area to the home that previously was underused. Sports provide many benefits for young athletes. They help develop strong bones and muscles, keep participants physically fit, and build character, integrity, and sportsmanship. Many favourite sports are seasonal and played indoors such as basketball and volleyball. “We Don’t Just Do Our Best to Win Awards…” —But We Win Them Anyway! Total Sport Solutions Inc. of Oakville, ON, has won the 2019 awards for “Best Design Canada – Outdoor Landscape” and “Best Customer Service” in our market, on Houzz, the leading platform for home renovation and design. If you take a drive through your community, you may pass a park or school with empty tennis and basketball courts. In times past, these places would be teeming with players challenging each other to a game of one-on-one or Horse. 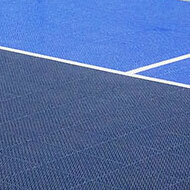 You could hear the “plop” of a tennis ball being returned across the net. Nowadays, sadly, you mostly hear crickets. You can change that by offering pickleball time for players of all ages in the area. There is a movement making its way across Canada and the United States. You can even find it growing in Europe and Asia. It involves paddles, a wiffle ball, and a net. Many find that this movement feeds their need for fun with a bit of friendly competition. The oddest part is the name; it sounds like something you would pick up at your local deli, not down at your town’s park. If you have not heard of it before, you are in for a treat. Pickleball is an entertaining sport catching the fancy of all ages. Go ahead – grab a paddle, and your grandma, and head down to the nearest pickleball court to see what the fun is all about! Worship centres are a wonderful place for families and friends to gather together. Often the multi-purpose halls are filled with laughter as adults and kids interact together celebrating religious holidays and other recreational activities. From Christmas parties to dances, fundraisers, and other fun events, your hall may see a lot of community gatherings through the year. Replacing your Church's, Synagogue's Or Mosque's community centre flooring is an important decision to ensure everyone can enjoy their time together in a comfortable, safe space. You want to make your activity room or prayer hall comfortable, safe, and long-lasting. Having the appropriate material under foot makes a world of difference. When it is time to rehabilitate your fitness room, school gym, or retail store, a critical component is the choice of flooring. Depending on the use of your facility, you may need your floor to withstand skates, gym equipment, and the wear from individuals running and jumping on it. Perhaps you need some sound reduction capabilities for the space where your new flooring is to be installed. Maybe you have people or employees standing for long periods of time and could benefit from an option that is specially engineered to provide relief from sore feet. No matter what factors are important to you while evaluating available options, high quality, recycled rubber flooring is a fantastic choice to think about. 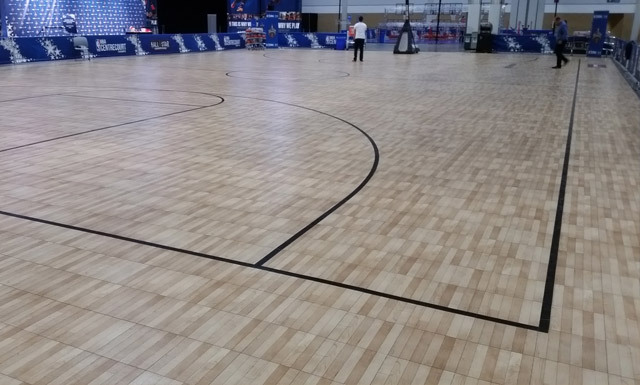 Total Sport Solutions offers a wide range of flooring options; from the most advanced modular flooring available to the industry’s lowest profile sprung hardwood floor as well as cushioned rolled vinyl floors and pad and pour seamless sports flooring. Churches & other places of worship. Community centres & sports facilities. 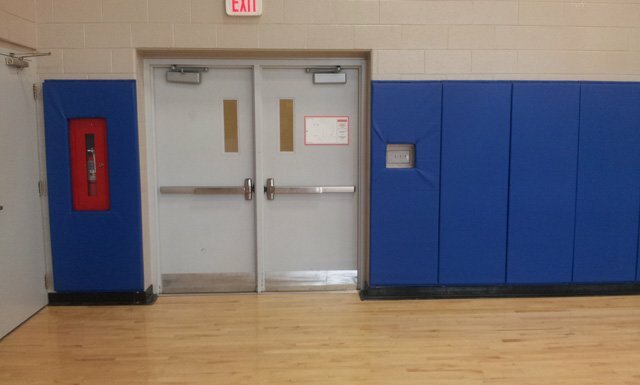 Small schools, futsal clubs, basketball training facilities, sport and social clubs have all realized that SnapSports modular sports floors provide all the properties of play that you’re looking for, without the high price. Protective padding is essential no matter where you play. 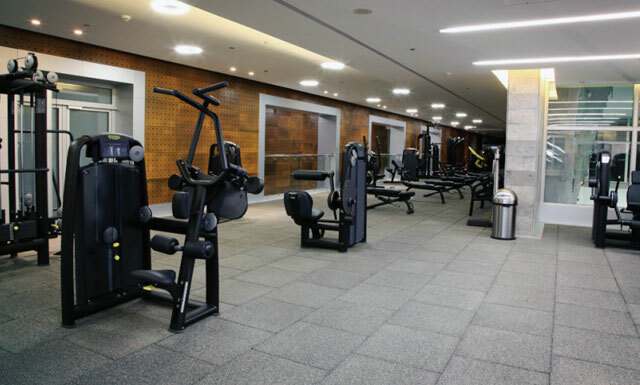 Your school gym, the gym in your local church, mosque or other places of worship, the gym in your condominium, your local community centre, sports facility or even your home basketball court! Padding should never be overlooked. 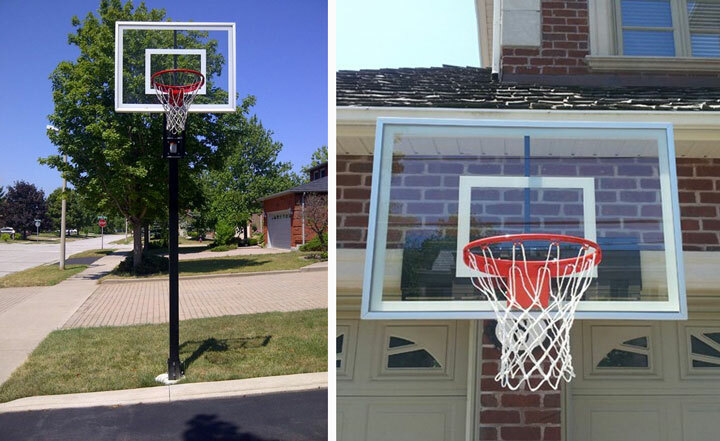 Whether it is for your driveway or your backyard basketball half court or multi-game court, the quality of your basketball goal can make a big difference to your play. We have all seen or even played on the portable driveway hoop with blocks of cement holding it in place. When you make a shot the backboard rattles and moves and don’t even think about doing a slam dunk. If the rim doesn’t bend, the whole thing will come crashing down on you!